Give your living room the edge with this unique coffee table with built in drink cooler. 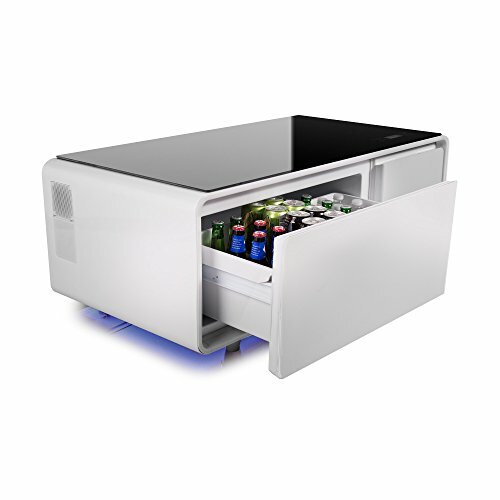 Comprising of a refrigerated compartment, built-in LED lights, charging ports, and Bluetooth speakers, this versatile piece of furniture will add to your living room experience whether that be chilling out or entertaining. The streamline, sleek design of the Sobro coffee table with drink cooler will add style to any living room.